I received my Ipsy Glam bag last week and this month’s theme is “All Eyes on You”. I received 5 products total: 4 eye products and 1 lotion. 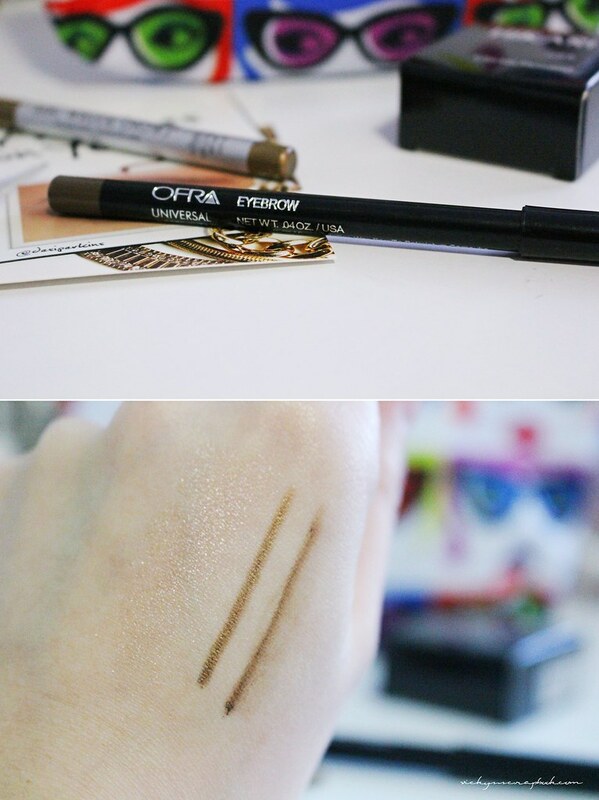 I didn’t get a chance to try any of the products yet but this cream shadow seems very pigmented when I swatched it. The color “Mink” is very metallic but it seems a lot lighter on the skin than when it’s in the pot. I do like the color though; it seems to be a color you could use everyday. The other item is a eyeliner pencil that came in a bronze color. I have a lot of brown liners so it’s a bit refreshing to have another shade to try. It states it’s a “long-lasting color with rich payoff” and “smooth texture”. Of course, eyes means we can’t leave out the brow. There was a eyebrow pencil in the glam bag and it came in a brown color. When I swatched it (shown on the far right in the picture), it’s a very similar shade of brown to the eyeliner; the eyeliner has a more yellowish tone though. 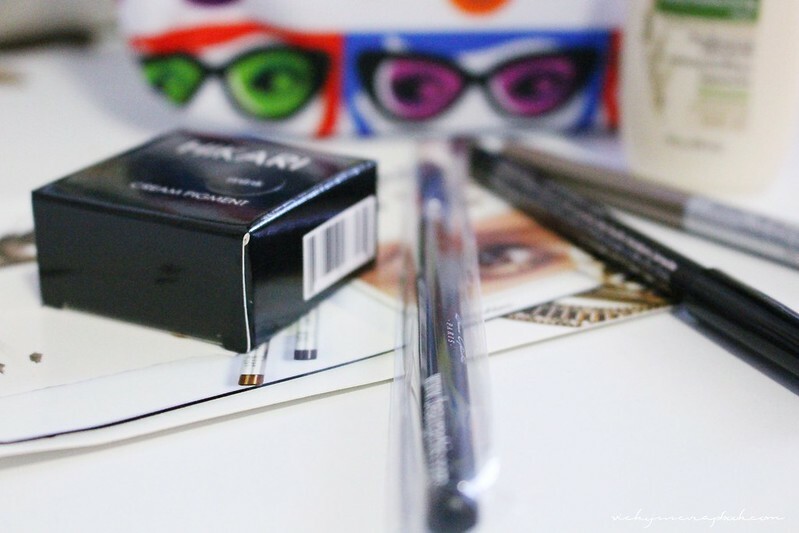 It states that it could also “double as an eyeliner or lip liner pencil”. I love receiving brushes in the Ipsy bags since I could add them to my collection of brushes. 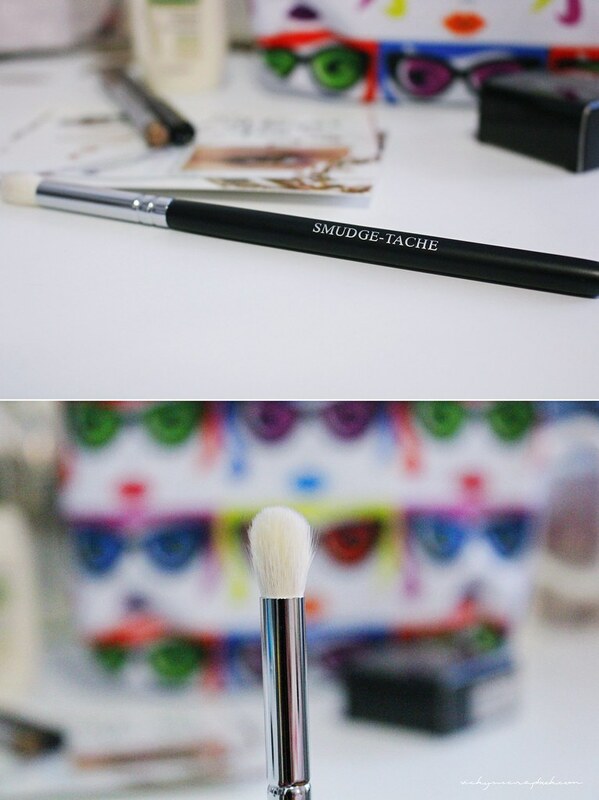 This one is a smudge brush that is “ideal for creating that soft, smoldering smoky look”. The lotion I actually use the full size on a daily basis. I really like this lotion and find that it’s very convenient that I received a travel size for my purse. 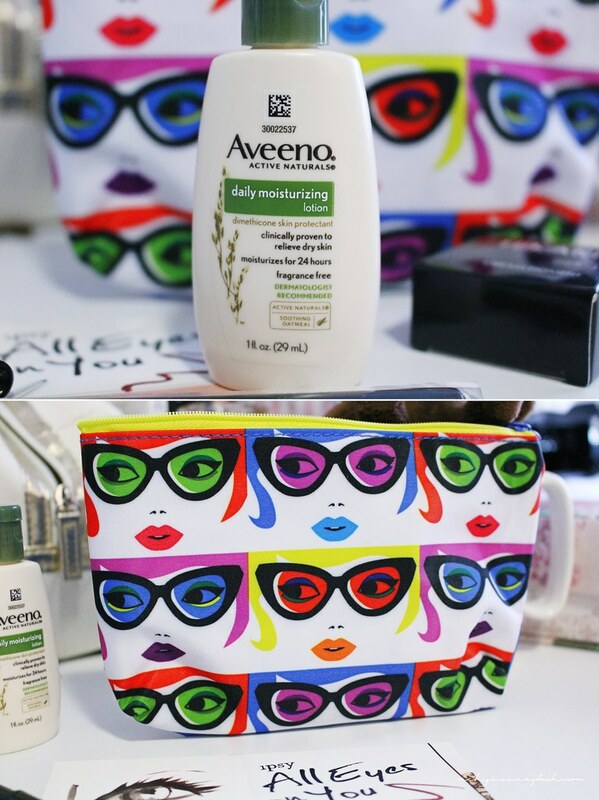 The bag this month is a compact size makeup bag. To match the theme, it features many pairs of eyes on one side and it’s just blue on the other. The side of the many faces and eyes reminds me of Andy Warhol’s paintings. What did you think of this month’s Ipsy glam bag? Really like that metallic eye shadow color 🙂 It’ll look so good, especially on people with brown eyes ❤ Hehe the bag is really cute too! 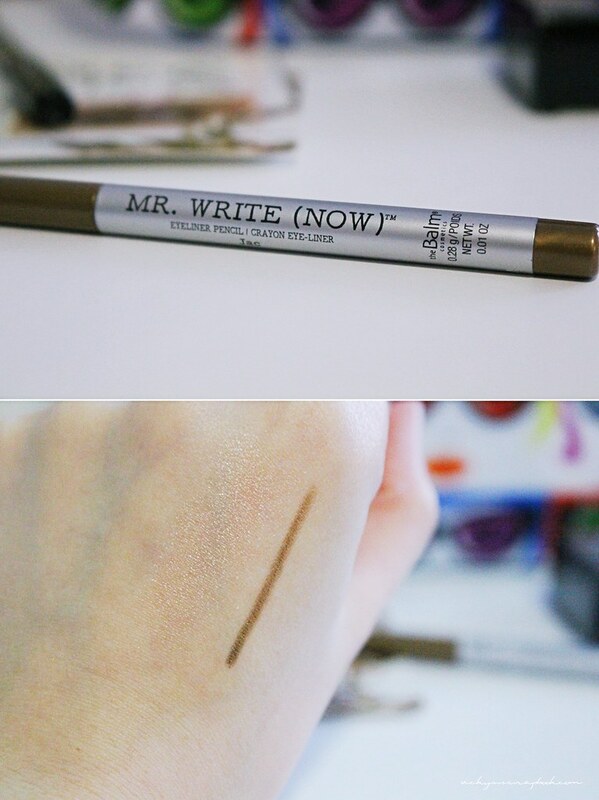 Mr. Write Now is such a cute name for eyeliner pencil! Can’t help myself to giggle a little when I read that part.